Using a blend of physical theatre, dialogue and projection, Affection shines the light on experiences, prejudices and misconceptions around HIV/AIDS. Created by Outbox Theatre and London venue The Glory, the production is based on stories gathered by working with London-based HIV charity Positive East. And it shows. Affection is a series of short snapshots which feel grounded in real life experience. We see a first meeting in which admitting to being positive leads to the rapid exit of a prospective partner. There is the panic when a young student discovers the man he has just slept with is taking antiretroviral medication. And we meet the social media guru desperate to be a celebrity vlogger by share his HIV story. There is an aching tenderness to many of the scenes as bodies knit but minds still struggle to take on the implications of HIV. And there is fear and pain when relationships are torn apart as a result of sharing this knowledge. Affection shows us conflict – a mother objects to the funeral speech from her son's lover because she cannot accept that her son was gay and died of HIV/AIDS and a lover confronts his former partner and accuses him of selfishness for keeping his HIV secret. But Affection also shows us love – and an acceptance that loss is heart-breaking but can be endured. Writer Jodi Gray ensures Affection also has its lighter touches with plenty of humour - not least in a monologue in which one character shares his disappointment at not achieving the dramatic and tragic end he had hoped for due to developments in treatment. Outbox Theatre's company of all LGBT performers rise to the challenge of the production, frequently switching characters, tempo and mood in this hour-long show. 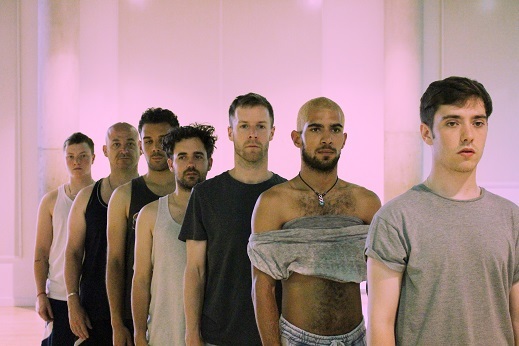 Directed by Ben Buratta and staged at the A E Harris building in Birmingham's Jewellery Quarter, the audience sits at the edge of the performance space which accentuates the sometimes claustrophobic nature of some of the scenes. This close proximity also draws the viewers into the drama which at times is only inches away from their seats. Affection is a bold piece of theatre, which makes audiences re-think their own ideas and possible preconceptions around HIV. The sheer variety of experience presented in the production is sufficient to remind us that no two stories are the same.